Qualification: Candidates having Ph.D. degree (awarded) or equivalent from recognized University in Life Sciences/Biotechnology/Bioinformatics/Molecular Biology or any other related field are eligible to apply. The candidate should have a good academic record and research experience as evidenced from published papers in standard referred journals. Candidates having research experience in the area of advanced biochemistry especially in chromatography and purification of large protein complex will be preferred. Qualification: Candidates having Ph.D. degree (awarded) or equivalent from recognized University in Life Sciences/Biotechnology/Bioinformatics/Molecular Biology or any other related field are eligible to apply. The candidate should have a good academic record and research experience as evidenced from published papers in standard referred journals. Qualification: Candidates having M.Sc. degree or equivalent (with minimum 55% marks) in Bioinformatics/Life Sciences/Biotechnology/Molecular Biology or any other related field with two years post M.Sc. research experience are eligible to apply. 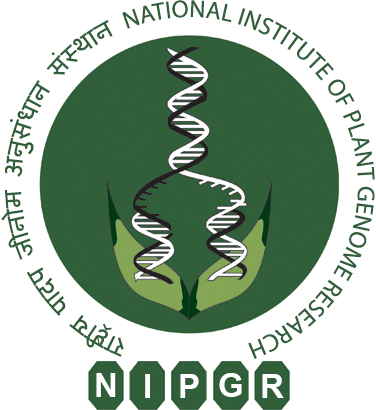 Experience in raising transgenic plants and protein biochemistry is desirable. The positions are purely temporary and are co-terminus with the project. The initial appointment will be for one year, which can be extended/curtailed on the basis of assessment of the candidate’s performance and discretion of the Competent Authority. NIPGR reserves the right to select the candidate against the above post depending upon the qualification and experience of the candidate. 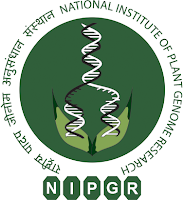 NIPGR reserve the right to relax any of the qualification(s) in case the candidate is found suitable/well qualified by the Selection Committee. Reservation of post shall be as per Govt. of India norms. Eligible candidates may apply by sending their complete application in the given format. The attested copies of the certificates and proof of research experience (if any) are to be attached with the hard copy of application. The applications should reach at the address given below within 15 days from the date of advertisement. The envelope must be superscribed by “Application for the Post of RA/SRF in “DBT/DST” of Dr. Jitendra Kumar Thakur, Scientist, NIPGR. Note : ONLY hard copy of the application in the given format will be accepted.